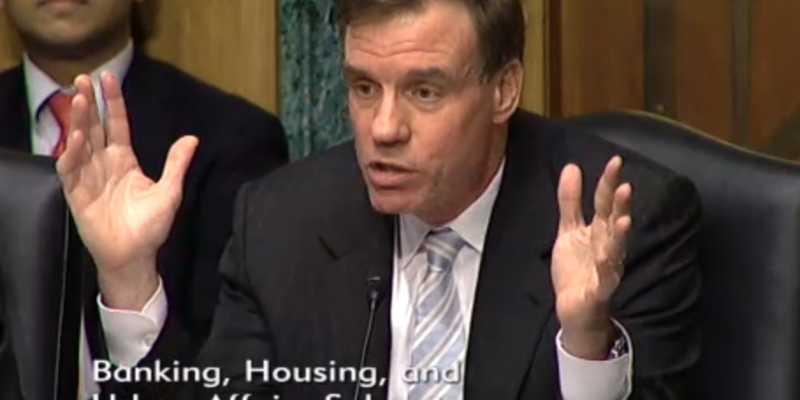 View the full video of the Senate Committee on Banking, Housing, and Urban Affairs hearing on virtual currencies here. He wanted wider input on what senators would be discussing yesterday afternoon: the promises and threats of virtual currencies, and how the banking system could engage them. While academics, regulators, and banking industry representatives gave their views to a panel of Senators, redditors responded. The difference in opinion and tone was obvious. Most of the discussion in the hearing (other than BitPay CEO Tony Gallippi’s comments) focused on the risks around bitcoin and how to best regulate it to mitigate those risks. But like Gallippi’s a lot of the reddit feedback centred on the need to let it breathe. Many bitcoin companies are prepared, with good answers, says Hansen. If the banks would listen, they have compelling stories to tell. But many banks aren’t listening. “It’s not even the regulatory issue that’s the problem. It’s the banking relationships that are the problem,” he explained. Yesterday’s hearing may not have done much to encourage bitcoin advocates. The person who advocated for more regulation of bitcoin, and who seemed the most cautious about virtual currency, was Paul Smocer. He is the president of BITS, the technology policy division of The Financial Services Roundtable – an industry body set up by the financial services industry to explore approaches to new technologies. Smocer didn’t respond to CoinDesk’s requests for comment, but his testimony yesterday called for more regulation, rather than less. Earlier, he had called for more regulation to “legitimize” the virtual currency industry, arguing that the FinCEN guidance in March wasn’t enough. FinCEN’s guidelines explain what types of virtual currency business fall under the auspices of the Bank Secrecy Act guidelines, and refer to well-established definitions of money transmission businesses. So what’s making banks nervous? State-level regulation is also a bone of contention. David Cotney, Commissioner of Banks for the Commonwealth of Massachusetts, is also vice-chair at the Conference of State Bank Supervisors (CSBS), which gathers together all of the state banking regulators in the US. He reeled off a list of initiatives and tools that the CSBS is using to try and make the state-level MSB licensing process easier. The Money Transmitter Regulators Association (MTRA), a non-profit organisation that helps regulate the money transmission business in the US, created a Money Transmitter Regulators Cooperative Agreement in 2002, and followed it up with the MTRA Examination Protocol (MTRA Protocol) in 2010, he said. That gives companies an easier time when applying for state licenses by co-ordinating joint reviews. There’s a task force, too, and a database, that lets the public see how those licenses are going. But none of that seems to be helping bitcoin companies who want to operate in multiple states. Once they conquer California, Texas, and New York, they still have 75% of the US population to go, and each one has a different set of rules, standards, and politics to navigate. Each one will take up to two years to complete. No wonder Circle Internet Financial earmarked $2m of its $9m in funding to tackle it. “It’s not going to be an easy and a short process, but they could have federal laws that would pre-empt the state laws. In any case, he says, perhaps it shouldn’t be an MSB issue at all. But there is opposition to unification. Sarah Jane Hughes, university scholar and fellow in commercial law at the Indiana University Maurer School of Law, thinks that virtual currencies should be treated just the same as any other financial instrument when it comes to regulation, however. She gave four recommendations in her testimony, and one of them included not creating a unified state/federal regulation for them, or to give them special regulatory treatment to foster innovation. Aside from the challenge of state-level regulation, and the danger of more regulation for a volatile currency, there’s the problem of making it worth the banks’ while in the face of the regulatory uncertainty. “The banks need a business case, honestly. They need to know that they’re going to make some money off of this, and right now it seems probably like a nascent industry,” argued Hansen. Banks normally earn money from deposits, but they’re not well equipped to deal with virtual currency transactions. They live in the world of credit cards and ACH, where fees are deliciously high, but in the bitcoin world, low fees are a characteristic of the system. If the carrot won’t work, then how about the stick? “More impetus could come from large merchants asking their banks to support them doing business in bitcoin,” Dax said. BitPay now has 12,000 merchants and just launched a directory of them – but banks either need a few big players to push for bitcoin, or an en masse request from lots of smaller companies – before they’ll take notice. Assuming that all of this can be solved, banks will need to make it straightforward for bitcoin-based businesses to sign up for accounts. In his Q&A during Monday’s Homeland Security and Government Oversight hearing on virtual currency, Bitcoin Foundation general counsel Patrick Murck called for an “onboarding” process. At last one virtual currency company is anxiously waiting to align itself with banks and financial institutions. The Ripple Foundation, whose CEO Chris Larsen was originally scheduled to testify at the hearings, takes pains to outline its readiness. But Ripple’s absence left Gallippi as the only person actually operating a virtual currency business to testify at the hearing. He argued against any further regulation of bitcoin. “Guidance from the IRS, Department of Treasury, Department of Justice, and SEC has all established that bitcoins are legal, and that those dealing with them must simply follow existing tax laws and anti-money laundering regulations,” he said. But more regulation could be on the horizon. Both Hughes and Mercedes Kelley Tunstall, partner and practice leader for the Privacy and Data Security Group at Ballard Spahr LLP, testified yesterday that virtual currencies face volatility issues. Bitcoin fails to track other currencies, said Hughes, raising the question of securities or commodities regulation for it. Part of the reason that the currency is so volatile is because of a lack of liquidity. Volatility is a product of thin markets, and adding more liquidity would help to regulate prices. Regulatory uncertainty and conservative banks are precisely what are preventing US exchanges from increasing that liquidity by participating fully in the virtual currency markets. “The number one exchange for bitcoin in the world is in China. The number two exchange is in Japan. Numbers three, four, and five are in Europe. Number six is in Canada. America is not a leader right now in liquidity in the exchange of bitcoin,” said Gallippi. It is unclear how much legislative action will come from this process, if any, but one thing is certain: senators were given a clear message from the banking industry yesterday that they were skeptical about bitcoin. It was not the dialogue that many on reddit may have hoped for.